How often do you clean and maintain your rain gutters and downspouts? During autumn, when you are cleaning leaves from your yard, you should also schedule maintenance to have the rain gutters, downspouts and roof cleaned as well. We offer FREE pre-inspections and estimates. Did you know that clogged rain gutters can lead to damage to other parts of your home? Rain gutters and downspouts are designed to move water away from your home. If the water is not flowing away properly, it may lay at the base of your home and cause damage to your foundation. Water that is trapped in the rain gutters can weigh down and damage the gutter itself and the fascia boards they are attached to. In cold weather, ice dams can form in the gutter or on the edge of the roof. If water pools on the roof it can seep into your home, damaging the roof and the wood underneath. Clogged rain gutters are also a great breeding ground for pests like mosquitoes or wood-destroying insects like termites and carpenter ants. By giving your rain gutters a little TLC you are helping them do their job. Sweep and clean off the roof, clearing it from leaves and debris so the gutters don’t fill right back up again. Clean black “drip” lines that are often found on the outsides of white vinyl gutters caused by rain runoff from tar shingles. We are happy to provide a free pre-inspection and price quote. We do not price gutters sight unseen as there are too many variables such as ease of access, depth of debris, distance from the ground, and general condition of gutters and downspouts. As long as there is not excessive ice build-up in the gutters, we should be able to clean them. 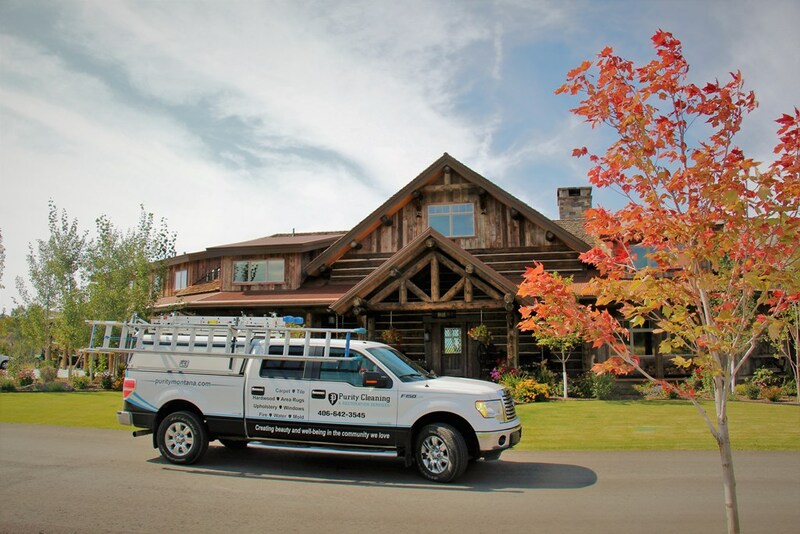 Typically, we stop cleaning gutters sometime in November and start again in March or April, depending on when temperatures are consistently above freezing. Although there is no set start and stop date; ultimately cooling and warming temperatures will determine the dates and unforeseen “bad weather” could require rescheduling. What do you do with the debris you remove from the gutters and roof? If you have a dump site on your property where you typically dispose of yard and lawn debris, we can move it there. Otherwise, we are equipped to take the debris with us when we leave your property and dispose of it off-site. Yes, we will need access to cold water through an outside spigot. Should I install screens or water permeable covers, so I don’t have to keep cleaning my gutters out? We do not recommend installing screens in your gutters because debris still makes its way into the gutter. Having to remove the screens to clean the inside of the gutter will actually increase the price of cleaning dramatically because it adds a considerable amount of labor time. It is not necessary for you to be home while we clean as long as you have made prior arrangements with us to gain entry to your property, and there is no one under the age of 18 present in the home in your absence. Prior arrangement for payment will need to be made as well since payment is due at time of service. In most cases leaving a check on the counter will be just fine and we will leave a receipt in its place when we leave. You may also pay in advance by credit card over the phone or online. Do I need to provide any equipment for you such as ladders,etc.? No, our professionally trained technicians use their own equipment and ladders.